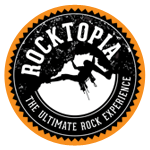 Clip 'n Climb combines the thrill of a theme park with the action of indoor rock climbing. 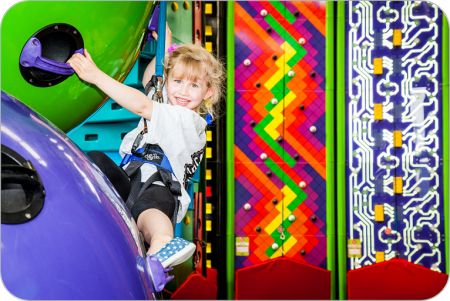 Once you enter the arena you will be surrounded by the fun and colourful Clip N Climb walls. These walls stretch all the way to the ceiling and encourage great problem solving skills at a level that is comfortable and fun for everyone. The best bit is, once you’ve climbed a wall, you simply jump off and start again. You’ll love exploring the different ways to climb – from racing your friends, to edge-of-the-ledge balancing. Who can Clip 'n Climb? Anyone aged 2 years and over can use the unique Clip N Climb walls – it’s perfect for families, Parties and team Building. As every climbing wall has a TruBlue auto belay system, climbing is safe and easy and means you don’t need a belay buddy. All our kids get their auto belays checked before they start climbing each wall so we can ensure they stay safe. Find out more about Clip 'n Climb’s safety features.